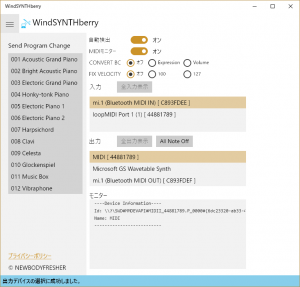 It’s the converter software to play the MIDI synthesizers and VST instruments by Wind Controller. Even the synthesizer which isn’t for a Wind Controller, you can enjoy playing easily. 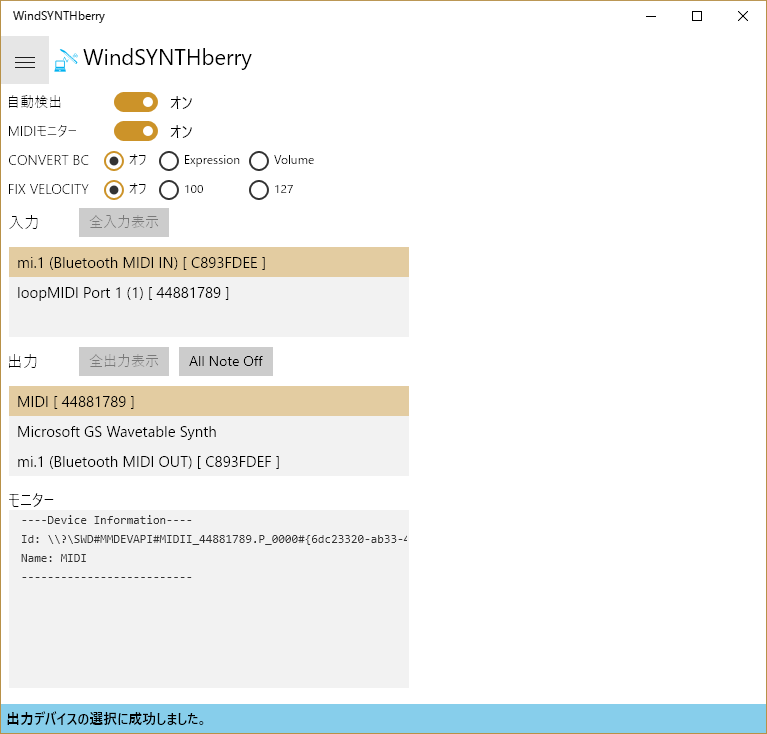 WindSYNTHberry is added functions for wind synthesizer / controller on MIDIberry. 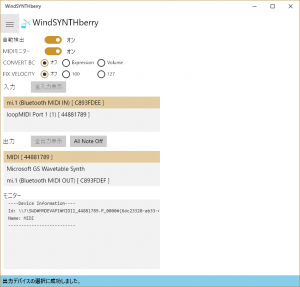 – BLE MIDI support for only Windows 10 Anniversary Update. Input works largely well, but data is lost in the output, because of limit of Windows, due to technical limitations outside of our control. You can convert the breath controller message(Control Change / CC# 2) to Expression (CC# 11) or Volume (CC# 7) message. You can fix the velocity to 100 or 127. 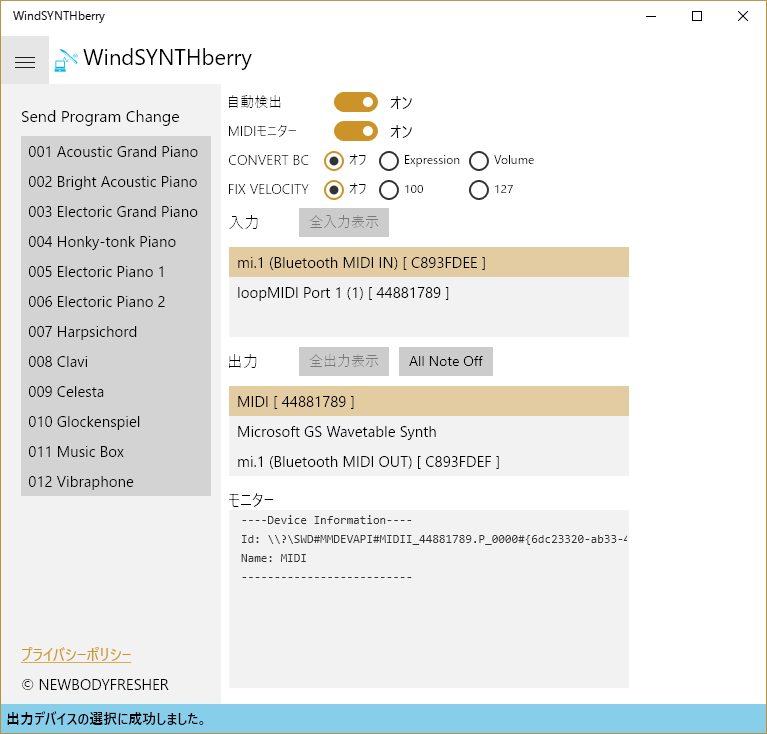 By using Bluetooth MIDI (BLE MIDI) compatible device you can enjoy wireless performance (Windows 10 Anniversary Update only). We have confirmed the operation with the following devices. You can also test it with Windows built-in software sound source (Microsoft GS Wavetable Synth). Program change is also possible (from hamburger menu). There is an All Note Off button for when the sound is going off. To Yamaha WX and AKAI Professional EWI users, please try once.